I’m going on a roadtrip this weekend to visit my brother in Chicago. Thinking about that, I thought I would take a moment to discuss my last roadtrip I took back in January to Albuquerque, New Mexico. Whenever my wife and I go on one of our trips, pretty much the only thing that’s planned ahead of time is where we are going to eat. And even then, when we are currently eating breakfast, we still plan on what’s for lunch. Then at lunch, we gotta plan dinner. It’s this vicious gluttonous cycle that continues every place we go. And I love it. So, when we planned the January trip to visit her family back in Albuquerque, we had to come up with a list of places to eat. 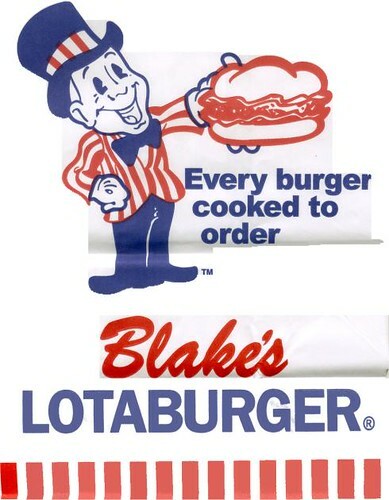 For me, when we head back to the Southwest, there are only two places on my list, and the first is Blake’s Lotaburger. The second is any good Mexican food place which includes a variety of places like Gardunos or any place in Old Town. But the main one, like I said, is Blake’s. Huh?! What….where was I? Oh…so what makes the burgers so good? They use 100% angus beef and they have tons of fixins on ’em. And when you order, you have to order them “New Mexico Style” which comes with green chili and Monterey Jack cheese on top. Actually, Blake’s doesn’t officially call it “New Mexico Style”. My first time going there, my Father-in-law said I need to try it “New Mexico Style” so I thought that is what it was called. When I ordered it that way from the lady, she looked at me like I’d grown a second head and that extra head had ordered extra pickles on my “New Mexico Style” burger. My Father-in-law had to step in, while laughing uncontrollably and say that I meant that I wanted to include green chili and cheese on my burger. He had made up “New Mexico Style” and didn’t think I would actually order it that way. Little did he know, I’m just that dumb. 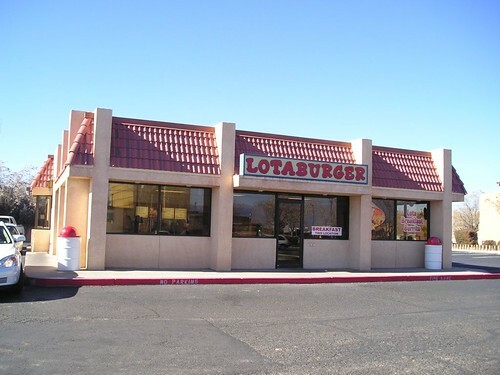 So the whole family had a good laugh at that, and from then on the Lotaburger with green chili and cheese has been known as the “New Mexico Style”. It’s a shame this wonderful little franchise is not found anywhere but in New Mexico. It joins the long list of fast food franchises I love, but can’t get here in the Southeast. What are some of these other places? I’m talking places like Jack in the Box, In ‘n Out Burger, Jamba Juice (coming soon to Jax! ), Skyline Chili, Graeter’s Ice Cream, White Castle and Hale and Hearty Soup. Maybe someday I’ll have a little write up of some of these places that I love but can’t get here. Anyway, we do a lot of other things in New Mexico other than eating at Blake’s. There’s always the obligatory trip to the casino (I force everyone to go because I love taking pictures of cool looking slot machines…see?). Casinos are awesome and it’s fun to walk around and people watch. Walking around Old Town is fun too. There’s a lot of cool shops with neat Southwest trinkets and lots of old buildings and churches in the old Spanish adobe style which is fascinating. New Mexico has such a great history, much of the downtown area hasn’t really changed in a long time so you can see really old style roadside motels with their cool neon signs, old school looking Wendy’s and McDonald’s that haven’t been updated in years and there are several drive-in diner restaurants from the ’50-’60s that inspired things like Checker’s and Sonic. 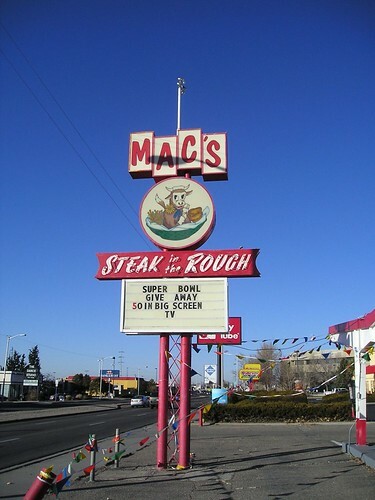 Check out an old hangout of my Mother-in-law and Father-in-law called Mac’s Steak in the Rough in the pics below (click them for a bigger version). I’m still not sure why it’s called “Steak in the Rough”. Are you eating steaks in a bunch of bushes? Is the meat rougly made? What? I may have to ask my In-Laws. It’s a cool throwback place, though. However, Millie and Terry told us that during their last trip my In-Laws ate there “for old time’s sake” and the food was not very good. I think it made them sick. I guess it’s one of those instances where your memory is always better than the reality. The place looks cool, though. Well, this past trip was fun. I always have a blast going to New Mexico to visit Steph’s family. The area always has fun things to do and her family is so welcoming and warm to me. They always have a big gathering and everyone shows up, eats, makes fun of each other, laughs, then leaves at like midnight after we all play games. Lots of fun. So if any of you ever make it to the Southwest for any reason, stop in at Blake’s, you will not regret it. 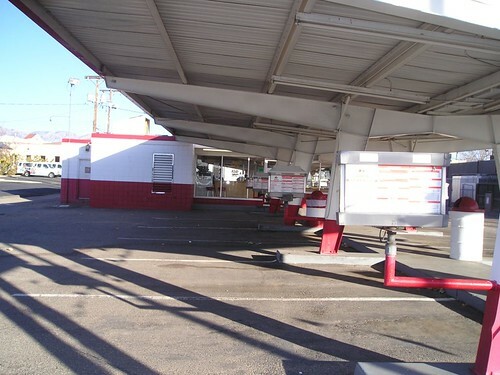 And remember to order your burger…”New Mexico Style”. 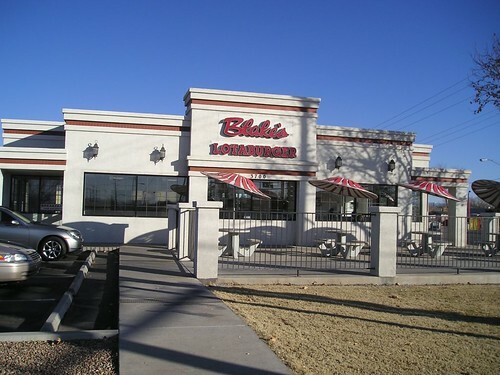 This entry was posted on February 14, 2008 at 4:10 pm and is filed under Albuquerque, Blake's Lotaburger, fast food, food, New Mexico, roadtrip with tags Blake's, fast food, New Mexico. You can follow any responses to this entry through the RSS 2.0 feed. You can leave a response, or trackback from your own site. Overrated Blakes Burger is Very much overrated. If you think a Blakes Green Chile Burger is good then you haven’t had a good Green Chile Cheesburger. I appreciate your opinion. However, there can be more than 1 good green chile cheeseburger. Blake’s makes a good green chile cheeseburger. Yes, it’s still a fast food burger, but it’s a very good one. I know it’s not gourmet, but it’s a good burger. My family has lived in New Mexico for 10+ generations. My immediate family has moved to Cincinnati. I like Ohio. But though I have never lived in NM personally, it is home. 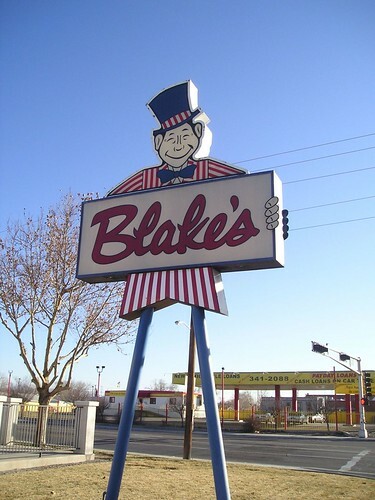 When I get the opportunity to go back, THE FIRST THING I EAT when I hit the ground while flying; or the small town of Tucumcari, NM (The FIRST Blake’s store over the border on I-40!!) IS A DOUBLE LOTABURGER, green chili and cheese. There is no better way to get ready for the whirlwind of seeing family you see once a year if lucky than with a Blake’s. Then, when leaving, we get one more. And then after eating, it is on the airplane, or back in the car. We leave home, and go back to the place where we live and work. We have made a home away from home, and my family and I are happy here for the most part. But home is the southwest, and specifically New Mexico. And Blake’s has firmly established itself in our minds as a symbol of that state. Go to Blake’s. Eat one. Understand what you are getting is not a $15 southwest bistro burger, but it IS the highest echelon of fastfood burgers. Hands-down. Facts not up for debate. The best.